In the case of Donald Trump, he has been a visionary in many ways. When he went to work in his father’s real-estate development business (father Fred Trump named it after his wife – Elizabeth Trump & Son), it was a carefully run operation building affordable housing in New York City. Donald thought his dad didn’t dream big enough. Golf courses in Scotland and casinos in Atlantic City weren’t on Fred’s radar, but “The Donald” has dreamed bigger. Since taking the reins of the family business in the 1970s, he had his own airline, his own TV show, and he is one of the few businessmen “everyone” knows by name and by face. Sure, he’s had his failures: the airline, Trump Vodka (a Trump and Tonic? Really? ), and his casinos have gone bust (how do you lose money with a “00” on the roulette wheel? ), but Trump has managed to bounce back from his disappointments because he always has more irons in the fire, and his brand is strong. Among the business ties Trump has lost since starting his campaign and saying the things he has said are: Macy’s, NBCUniversal, Univision, and Serta mattresses. In addition, by taking sides rather aggressively on issues like immigration, Trump alienates large segments of the market. The one thing you really don’t want to do as a business is get people mad at you. Trump has done this. Yet there is a part of the American public that believes a good businessman or woman would make a good president. And Trump is appealing to their instincts; they tend to dislike “politics” and think the pragmatism of business and the skills of a CEO transfer to the White House. The trouble is that history teaches that it just isn’t so. The real question comes down to this: Does Trump really believe that he can win the White House, or is this just a publicity stunt? He probably believes he has a shot; the single most-common trait among successful entrepreneurs is a “can-do” attitude. At the same time, Trump has used possible presidential bids as a way to keep his name in the paper. I, Benjamin Wey, think if we could look inside his head right now, we’d see that Trump is after both. The presidency would be an extension of his career, and it would be a great foundation for future successes. You have to remember that Trump’s 1987 book “The Art of the Deal” explains his philosophy. He’s in a deal-making business, and if you have to lose a few to gain a few extra, that’s the game. China expert Benjamin Wey has almost two decades of experience dealing with China. Europeans and Americans have been trying to figure out how to do business in China quite literally for centuries. Some have been fairly successful, but the Middle Kingdom remains a land of commercial mystery to most outsiders. The reason is fairly simple — almost everything about China is different. A great many business people get caught up in the minutiae of Chinese business culture and forget that we are all human beings trying our best to succeed. In that regard, everything about doing business in China is exactly the same. I was born in China and grew up speaking Chinese. I came to America to study business at Oklahoma Baptist University on full scholarships. After earning a second master’s degree in business from Columbia University in New York, and as Craig Ferguson says, I am American on purpose. I am very proud of my Chinese culture, and I chose to become an American citizen. My company has an office in New York and a co-branded office in Beijing. I speak English at work in New York and Chinese or English after work depending on the people around me. In short, I have a foot in both camps. One of the things that people starting to do business in China always complain about is how long things can take. You don’t fly into Beijing of Shanghai on Monday and leave with signed deal and a check on Friday. But think about it. If you fly from Los Angeles to Miami on Monday, are you likely to get a contract and a check on Friday? Probably not. There’s something in finance called “due diligence.” Basically, that means you check out the other guy to make sure he’s on the up and up. Why? Well, so you don’t get screwed. The Chinese don’t want to get taken any more than you do. They may not have a formal due diligence program or process, but they want to check you out. That’s what the banquets and all that social stuff is about. Look at it another way: If you play golf with one supplier and just have a professional relationship with another, and all other things are equal, who gets the contract? The fact is that every businessperson on the planet wants to do business with people they can trust, and if you happen to be on friendly terms, so much the better. The last century or so of Chinese history has been chaotic. The Emperor was overthrown and a republic declared. Japan invaded and was defeated. The Nationalists and Communists fought a civil war that the Communists won. Since 1949, China has had the Great Leap Forward and the Cultural Revolution as well as an opening to the world with capitalist features. It wasn’t the kind of history that lets a commercial code evolve over time. If America’s contract and property laws were as changeable and flexible as Chinese laws, wouldn’t you want to be able to trust your business associates? Actually, you would need to be able to trust them. In a way, personal trust is going to let you sleep better at night than any number of signed deals. So during those banquets or coffee and cigarette breaks, talk about the same things you would discuss with someone in your own country in such a circumstance — even if you need an interpreter. Traffic, weather, your hotel, the plane ride all make for good small talk. And for God’s sake, try to be pleasant even if you have had a bad experience. After all, you wouldn’t want a visitor running your city or country down. Don’t try to show off your knowledge of the politics of Tibet and Taiwan any more than you would discuss U.S. party politics with a complete stranger whose account you want. If you find a common interest, that is huge. Work that angle. And that applies to all the little details, like how to present your business card. Watch what they do, and mimic it. You can’t go too far wrong that way. Why? Because at a very human level, even if you get it not-quite-right, you are trying, and that means you respect them. And you can’t trust someone who doesn’t respect you. Yes, everything about China is different, but at a very basic level, we all want the same things: success, respect and happiness. In that regard, China and Oklahoma have a lot in common. Benjamin Wey, CEO of New York Global Group, recommends this article. 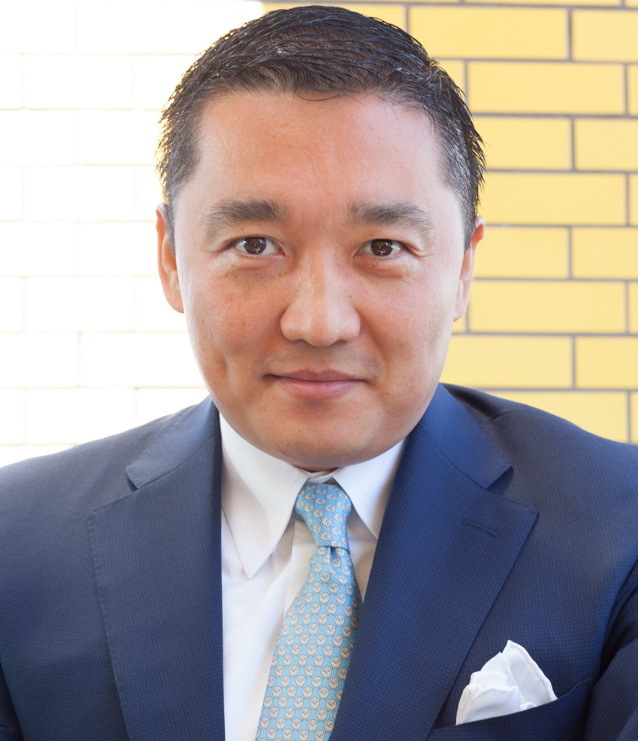 Benjamin Wey, CEO of New York Global Group, suggests this article.